Leaf curl and leaf blister are a group of diseases caused by the fungus Taphrina. Taphrina caerulescens is the causal agent of oak leaf blister, and Taphrina deformans is the causal agent of peach leaf curl. 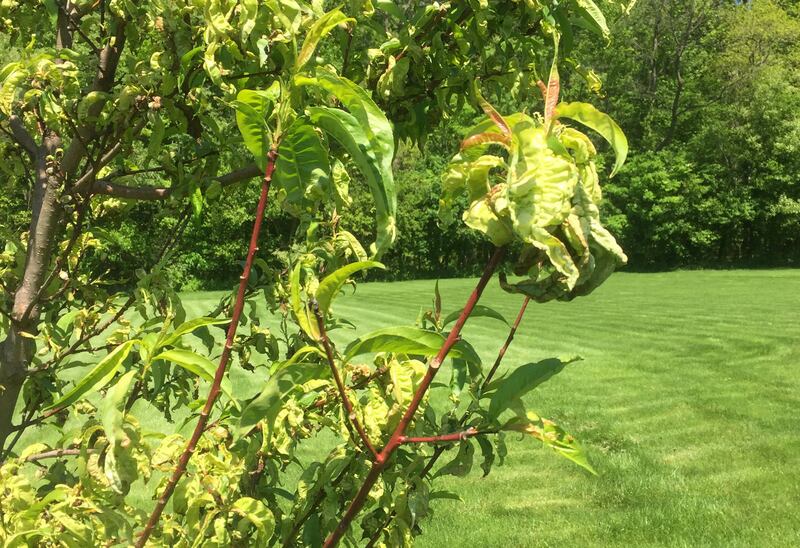 These diseases are common in spring as the pathogens infect newly growing leaves, flower parts and fruits. Only undifferentiated (still growing) tissues are susceptible. Therefore, most infections occur during or just after bud break. The disease is often more severe when weather is cool and wet. Once the plant tissue has matured, fungal spores that may be present throughout the growing season are not able to infect the host. Symptoms of leaf distortion and blister-like growth occur with both leaf curl and blister diseases. These symptoms begin to appear as leaves unfold. 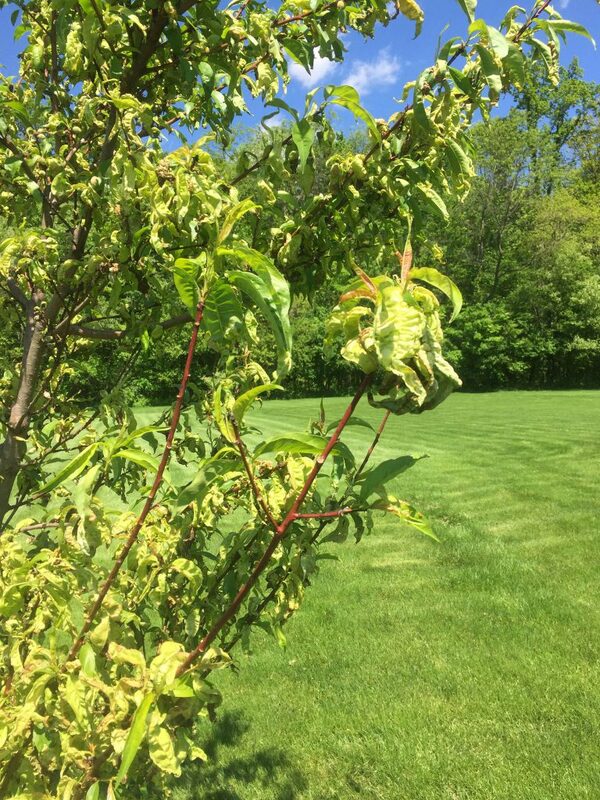 Leaves curl downward and may turn red or purple on Prunus spp. (plums, cherries, peaches, nectarines). The Taphrina pathogen secretes phytohormones that cause abnormal cell division (hyperplasia) and enlargement (hypertrophy). This results in the blister-like deformities that grab your attention. Leaf curl on peach tree leaves. As you might imagine, photosynthesis is inhibited in diseased leaves. That means severe infections can cause defoliation. The fungi overwinter in plant buds, and are often the source of primary inoculum. Repeated years of defoliation can weaken plants and make them more susceptible to other issues.